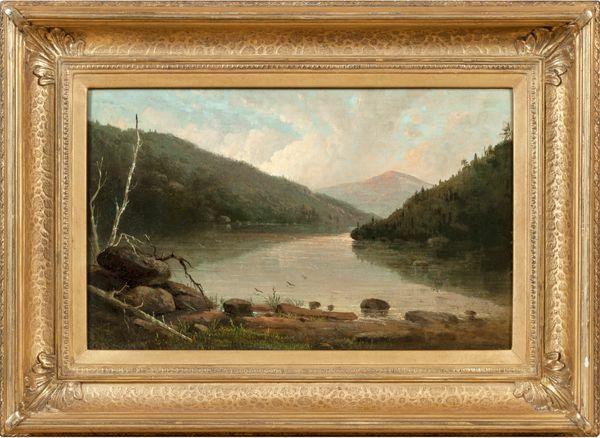 In the Catskills, Looking Toward Hunter Mountain is a rare example of Titcomb’s work as a painter. While she lived in Brooklyn and Long Island for much of her adult life, it is plausible that she enrolled in classes and traveled north on sketching trips as many of her contemporaries did. 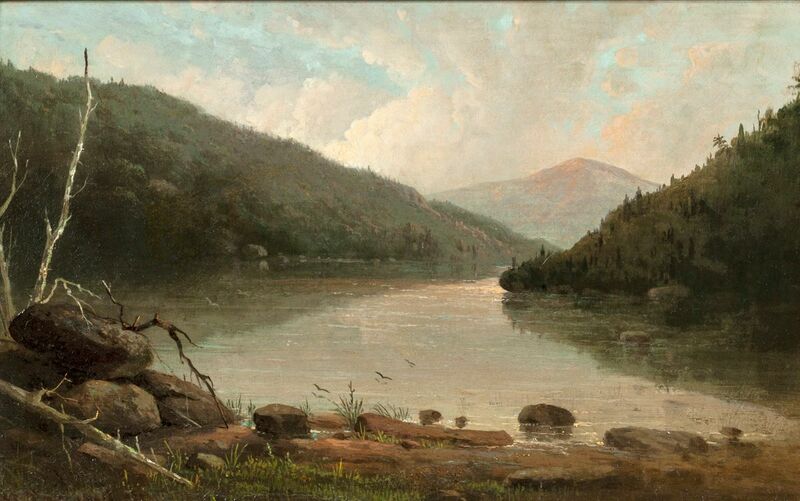 In the Catskills conveys a unique perspective of the Catskill Mountains, which can be seen in the distance. With attention to the varied quality of the scene’s light and atmosphere, the painting’s zig-zag composition makes for an engaging scene of idyllic tranquility.